Please check back for updates periodically, as we add new items from time to time. The Complete “Master Lists for Novelists” Collection: If you haven’t already signed up for them, here’s the link again. It is completely free of charge and includes a character development chart, a color list, a setting and world-building questionnaire, and other helpful resources to aid writers in their story crafting. Agent Query: One of the web’s largest free searchable databases of literary agents. Query Tracker: An extensive, searchable source for literary agents and data, with query tracking and organizational options to keep help you keep on top of submissions, rejections, and acceptance. MS Wishlist: A list of running requests from literary agents detailing what manuscripts they’d like to receive. Manuscript Wishlist: Another list of current literary agent manuscript request, as well as a blog and other resources. Absolute Write Water Cooler: A forum for writers in all stages, with useful information regarding what publishers and agents are legitimate and who to avoid. Writing Forums: A dot org forum helping writers help writers in all areas of writing, from setting to character development. Writer’s Digest Writing Forum: Writer’s Digest is a trusted name in the writing world, and naturally they have their own dedicated forum for writers. Writing Forums: A dot com forum connecting writers for discussions and help in their craft. SFF Chronicles: A forum specifically for Sci-Fi and Fantasy writers. Writer’s Beat: A community of authors that share the passion of writing. Writing Class Radio: A podcast of an actual in-session writing class. Grammar Girl Quick and Dirty Tips for Better Writing: Style, grammar and punctuation tips for writers. Helping Writers Become Authors: A must-listen for writers with the aspiration of publication that focuses on writing and polishing superb manuscripts. Critique Circle: A four-time winner of Writer’s Digest 101 Best Writing Websites Awards focusing on critiquing writer’s work regardless of genre. Scribophile: A writer’s workshop and critiquing group that allows writers to share their own work and offer critiques on others’. Inked Voices: An online workshop that allows its users to collaborate in private workspaces. CreateSpace: A self-publishing and indie-publishing platform that excels in ease of use. IngramSpark: A print-on-demand platform that allows for greater range of publishing outlet options. Lulu: A popular free-to-publish site for indie writers. 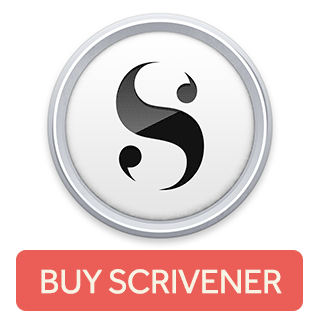 Scrivener: One of the internet’s most well known writing softwares with a wealth of features for the writer. Write Or Die: A unique writing program that gives you a choice: keep writing or let your avatar die. The choice is yours. Hemingway is a handy online (and offline) app for analysing a text for obvious readability issues such as overlong sentences and weak constructions. The Bookalyzer will analyze up to 200,000 words in a matter of seconds to identify hard-to-find consistency errors and a host of other details.